Medical malpractice, or more appropriately, medical negligence is that type of legal claim that a patient has available to him or her to pay for a wrong committed by a doctor or other medical professional which has caused bodily harm. Medical malpractice is more than the physician or other health care provider making a simple mistake. Malpractice occurs when the health care provider does something that other good doctors would have not done or else fails to do something other good physicians would have done. WHAT SHOULD I DO IF I THINK KAISER’S STAFF HAS COMMITTED MALPRACTICE? Say nothing at all to any Kaiser staff or employees about your suspicions. Caution your family members to also remain quiet around Kaiser’s people. Why? Medical records and diagnostic films can disappear or entries may be added or changed in your record. However, you should take detailed notes as to the date and time of events and write down the names of any witnesses. Immediately contact attorneys experienced with suing Kaiser who can advise you as to what course of action to take. Our firm has successfully represented patients against Kaiser for over 30 years. Mulligan, Banham & Findley understand the Kaiser system. They know how to protect your rights and aggressively represent you. Any competent attorney will want to review your medical records before determining whether or not you have an actionable malpractice claim. Most of the time, it is better for the patient to obtain a copy of ALL of their medical records rather than having the attorney obtain the records. There are both benefits and detriments to having the patient obtain the records first, rather than the lawyer. The benefits of having the patient pull his or her own records include the following: If it turns out there is no case, the health care provider need never know that the patient had a lawyer review the records. Second, if the records are pulled simply so the patient “can understand what happened,” the health care provider is less suspicious in handing over the records. This means records are less likely to be changed. (Yes, on rare occasion health care providers have been known to lose or change select records!) Third, sometimes the provider will charge a patient less for a copy of the records than they would charge an attorney. And finally, an attorney’s request for medical records may prompt the provider to send the records to Kaiser’s risk management department for review, before producing them to the attorney, causing delay. The benefits of having the lawyer pull the records include the fact that it is easier for the patient not to struggle with the medical records department of the hospital or doctor. The attorney may be able to persuade the provider to produce the records, if the provider is dragging its feet or making unreasonable demands for payment. After weighing the pros and cons, it is usually better for the patient to try to obtain their own records . If the records are being obtained in a wrongful death case, the next of kin should give the health care provider a copy of the death certificate listing the individual as next of kin and a copy of their identification proving that they are indeed the person identified as next of kin on the death certificate. CAN I SUE KAISER IN COURT? Under most circumstances, you cannot sue Kaiser in a California court, nor do you have the right to a jury trial against Kaiser. This is because your Kaiser health plan contract forbids such lawsuits and denies you a right to a jury trial. While this issue has been vigorously contested by consumer attorneys, unfortunately, it has been upheld by the California courts. Madden v. Kaiser. Therefore, the vast majority of all claims against Kaiser are resolved through binding arbitration. Arbitration hearings take place in front of one or more arbitrators who are generally retired judges. The arbitration award is final and there is virtually no right of appeal. ARE THERE ANY BENEFITS TO THE KAISER ARBITRATION PROCESS VERSUS JURY TRIALS? Yes, in general there are a few advantages to the Kaiser arbitration process. Often, you can get an arbitration hearing within a matter of about 8 months after the time the claim is filed against Kaiser. This is quicker than the docket for getting to trial in many counties in California. Second, while some medical malpractice arbitrations require a panel of three arbitrators to decide a case, often Kaiser arbitrations can be conducted with a single arbitrator. This saves costs. Third, it is generally cheaper to prosecute a case through binding arbitration rather than through a jury trial. Because the arbitrators are experienced in medical malpractice matters, the cases tend to move quicker and take less time. This reduces the expense of experts. Third, many Kaiser cases settle without the need for an arbitration. There is a mandatory settlement conference long before the arbitration. Often, these are successful in resolving meritorious claims. Finally, studies have shown that arbitrations result in more findings in favor of the injured patient than jury trials. With competent counsel representing the patient, a lot can be done to ensure the appointment of fair, neutral arbitrators who decide the claim on the facts with little if any bias in favor of the Kaiser system. WHAT SHOULD I DO IF I HAVE A CLAIM AGAINST KAISER? First, turn your attention toward your immediate health needs. Start the process of getting the health care attention you need for your injury, whether though Kaiser or somewhere else, if you have the option. Then, contact the Law Offices of Mulligan, Banham & Findley as soon as possible. Do not wait to finish treatment for your injury, as important deadlines will likely expire. If warranted, we will have our consulting physician, registered nurse, and attorneys review your case to determine if it has merit. If we think we can help you, and you choose to retain us, we will take the steps necessary to preserve your rights and to aggressively proceed with your case. Please understand that while we employ health care providers as attorneys on our medical-legal team, they cannot diagnose you or prescribe medication to you. You must use your treating doctors to diagnose and treat your injury and use us for legal counsel. WHAT DOES MULLIGAN, BANHAM & FINDLEY CHARGE TO REVIEW A POTENTIAL KAISER MALPRACTICE CASE? Please begin the process by calling us, or using the contact form on this website, to explain the details of your claim. There is no charge to do that, and have those facts reviewed by our team. If we think we may be able to help, we will contact you to arrange for a more in-depth review of records and/or consultation. If we do agree to take your case, we usually represent clients on a contingency fee based on an amount set by statute. A contingent fee arrangement means the injured person does not have to pay the attorney by the hour for his or her time. Attorneys’ fees in medical malpractice lawsuits are guided by statute in California. Generally, our fees for cases which are solely based upon medical malpractice are: 40% of the first $50,000 recovered; 33 1/3% of the next $50,000; 25% of the next $500,000; 15% of any amount on which the recovery exceeds $600,000. Please call to discuss the appropriate fee for your case. Please note that in addition to the attorneys’ fees there are also a lot of expert witness costs associated with malpractice cases. These are separate and apart from the attorneys’ fees. 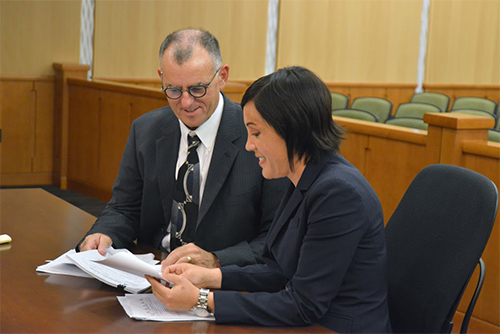 On a case by case basis, attorneys make different arrangements for payment of expert costs. HOW MUCH CAN A VICTIM OF MALPRACTICE RECOVER IN CALIFORNIA ? Regardless of the age of the victim or the severity of the injury, the most any victim of malpractice can receive for his or her pain and suffering is $250,000.00 in California. So, even if a baby is born permanently blind and paralyzed because of a doctor or hospital’s mistake, the most that infant can expect to be compensated for her lifetime of pain and suffering is $250,000.00. Efforts have been made to remove this harsh cap, but as recently as a few years ago the California legislature voted down bills to increase this ceiling, as well as the California voters, by rejecting Proposition 46 in 2014. However, in addition to this $250,000 limit for pain and suffering, there is no limit on how much the victim can be compensated for medical expenses or lost wages. Experienced attorneys such as Mulligan, Banham & Findley know how to maximize recovery in a medical malpractice case so that often recovery far exceeds the $250,000.00 cap. Mulligan, Banham & Findley has demonstrated outstanding results in obtaining multi-million dollar settlements and arbitration awards against Kaiser and other health care providers. Yes, perhaps the harshest limit is the statute of limitations. In the United States, California has the shortest time limit in which a victim can assert a medical malpractice claim. Generally, if a victim doesn’t takes steps to formally preserve his or her claim for malpractice, all rights to bring any lawsuit will be lost one year after the patient discovers the injury, or three years after the date of the injury, whichever occurs first. There is an exception to this rule for minors, or if the health care provider committed fraud or in the unusual situation where the doctor left a foreign body inside of someone during surgery. Claims against a California government-affiliated hospital or doctor must be brought in as few as 6 months. There is a very limited window of opportunity for a victim to bring a malpractice claim so if someone thinks they have been permanently injured by a doctor, they should consult an experienced attorney right away. An autopsy is usually necessary if you truly want to prove in a court of law what caused a person’s death. While it is not impossible to win a lawsuit without an autopsy, in many circumstances, it will be extremely difficult to prove a case without one. Even if you know (or think you know) the cause of death, an autopsy can provide valuable information to aid in the lawsuit as well as providing answers to family members about the circumstances surrounding someone’s death. For example, if someone dies of a heart attack (cardiac arrest) an autopsy may be able to show whether there were any prior, silent attacks, approximately when each such attack occurred and whether or not the final cardiac arrest was the type that could have been prevented with good medical care. It is better if the autopsy is done somewhere other than at the hospital where the questionable medical care was rendered. If adequate funds are available, consider having the autopsy performed at a university medical center. Specifically request that the doctors involved in the care and treatment of the patient NOT be allowed to be present during the autopsy and for the medical examiner/ pathologist/toxicologist involved in the autopsy NOT communicate with the treating doctors about their findings. It generally will take a couple of months to get the final report regarding the autopsy. In the interim, whomever is listed as next of kin on the death certificate should IMMEDIATELY order ALL records from the hospital or health care facility where the questionable care was rendered. Bring the photo ID of the heir requesting the records together with a copy of death certificate to the medical records department when requesting records. Write down the name of whomever is taking the order for the records and the date the records will be ready. Please see additional information above about obtaining medical records. You should get those records ASAP before the autopsy is completed so the health care providers won’t be encouraged to conform their records to the findings of the autopsy report. Make sure that the attorney devotes a substantial part of their practice to medical negligence claims and that he or she has done so for a number of years. Mulligan, Banham & Findley devote the vast majority of their practice to medical malpractice cases and they have done so for over three decades. Ask the lawyer about other medical malpractice cases he or she has handled. If he or she hasn’t handled a case involving your same scenario before, has he or she had one that involves the same specialty? If so, ask them to describe it. Mulligan, Banham & Findley have handled scores of types of medical malpractice cases such as birth injuries, failure to diagnose, surgical errors, wrongful death and many other types of medical errors. Ask the attorney if he or she has taught medical malpractice to other attorneys or authored any books or articles in the area. If not, what does the attorney do to keep abreast of changes in both law and medicine? Our attorneys frequently lecture on various topics in medical malpractice. Janice Mulligan in particular has been an invited speaker and published author in several national forums hosted by groups including the American Bar Association (ABA) and the American Association for Justice (AAJ). Will the case be handled by the attorney personally or will it be handled by an associate? If handled by an associate, what experience does the associate have and how much direct involvement will the primary attorney retain in the case? Mulligan, Banham & Findley is a firm of five experienced lawyers (including one lawyer who is a doctor, and another who is a registered nurse). All five lawyers in the firm work together as a team. None of your casework will be managed by a junior or inexperienced associate. What kind of experts will the attorney retain to review the file? Ask to see the experts’ curriculum vitae (resume) to make sure the expert has a solid background. Mulligan, Banham & Findley pride themselves on hiring only the best experts. Many of them are university professors and/or practice at the best hospitals in the country. Many of them are published and esteemed professionals held in high regard within their own profession. These experts tend to cost more, but do a better job at researching and testifying in favor of your case. Our firm has the resources needed to advance the costs of these more credible experts to fight for you in court or arbitration. Make no mistake, the defendant doctors in your case will pay for experienced experts to fight against you if your case proceeds to trial or arbitration. You do not want to enter that situation with second thoughts about how you saved money hiring a less experienced attorney or expert! The investment both the patient and the attorney will make in pursuing the case will involve a tremendous amount of effort, time and resources. Given how difficult medical malpractice cases are to win, the client should make every effort to ensure they have a solid case before proceeding forward. From society’s point of view, the filing of a claim which ultimately cannot be proved hurts the civil justice system and will be used to attack the system by those who try to eliminate the rights of victims to access courts and arbitrations. Lastly, remember that this is a claim that is about to be asserted against a professional for failure to properly carry out his or her duty. It could have implications on the professional’s licensing and ability to practice medicine in the future. Taking the step to file a medical malpractice claim should never be done lightly.